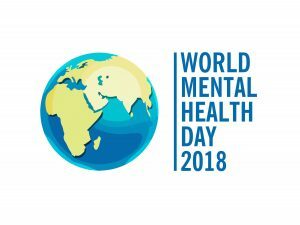 This year’s World Mental Health Day focuses on young people in a changing world. Half of all mental illness begins by the age of 14, but most cases go undetected and untreated. Depression is one of the most common diseases in teenagers and suicide is the leading cause of death for people between 5-19 years old. Being young can be difficult, with changes in every part of your life. From exam pressures, social media, getting to grips with dating, to moving away to uni or getting a new job, young people deal with many different pressures while growing up. Often at the same time they are starting to use drugs, like alcohol, which can make problems worse. Unfortunately there’s still a taboo around mental illness that means problems are too often kept secret rather than shared with friends and family. Luckily many of our schools have already got the message about the importance of helping youngsters build the mental resilience from early life. This World Mental Health day is all about improving communication between young people and parents, teachers and friends, to let everyone know that, like physical health, mental health is something to work at and to talk about openly. If you are experiencing mental health problems or need support, there are lots of places you can go to for help. Mind provides confidential mental health information services. With support and understanding, Mind enables people to make informed choices. The Infoline gives information on types of mental distress, where to get help, drug treatments, alternative therapies and advocacy. Mind also has a network of nearly 200 local Mind associations providing local services.